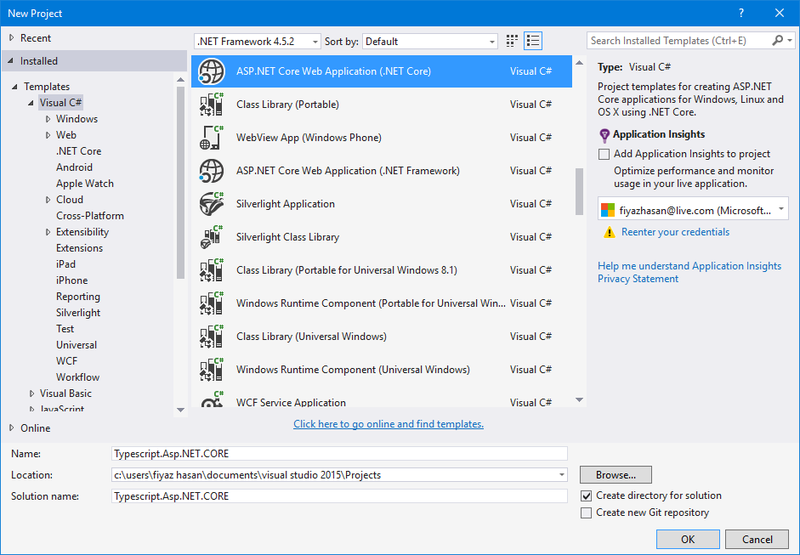 Open up Visual Studio 2015 and create a new ASP.NET Core Web Application. 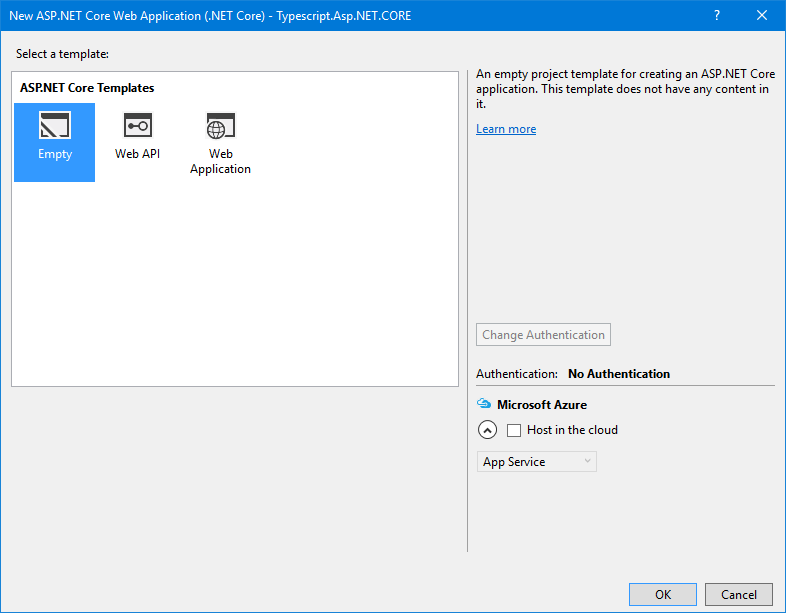 Make sure you have ASP.NET CORE RC2 installed in your PC if you want to follow this walkthrough step by step. 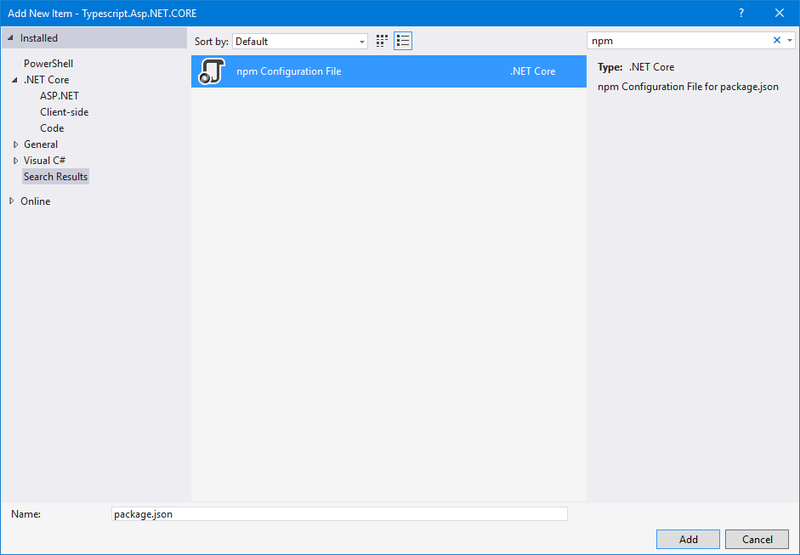 Choose the Empty Template from the available ASP.NET Core Templates since we are totally starting from scratch. To serve a default html file when the application is launched, we need a .net core package ("Microsoft.AspNetCore.StaticFiles": "1.0.0-rc2-final") and the html file itself under the wwwroot folder. 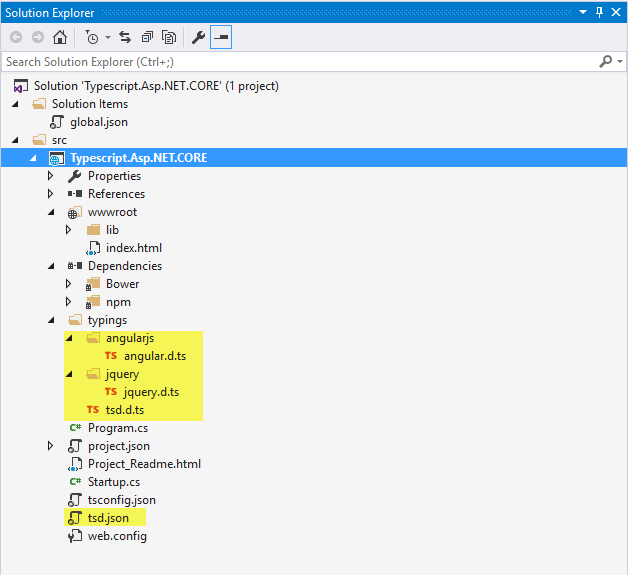 Update the dependencies of project.json file with the following highlighted line of code. Now to actually serve this html page as a startup page, write the following two lines code in the Configure(IApplicationBuilder app) method which is in the Startup.cs file. Running the app will now serve the index.html page as a startup page. 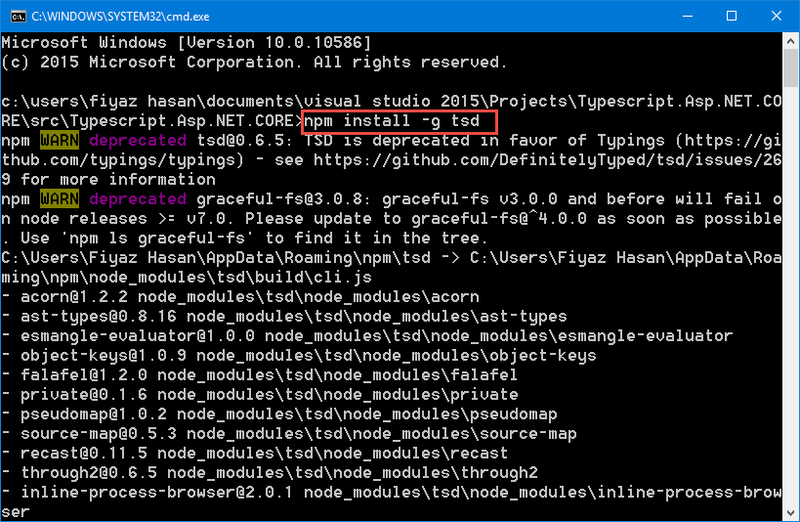 Update the devDependencies node with the following packages and save the file. 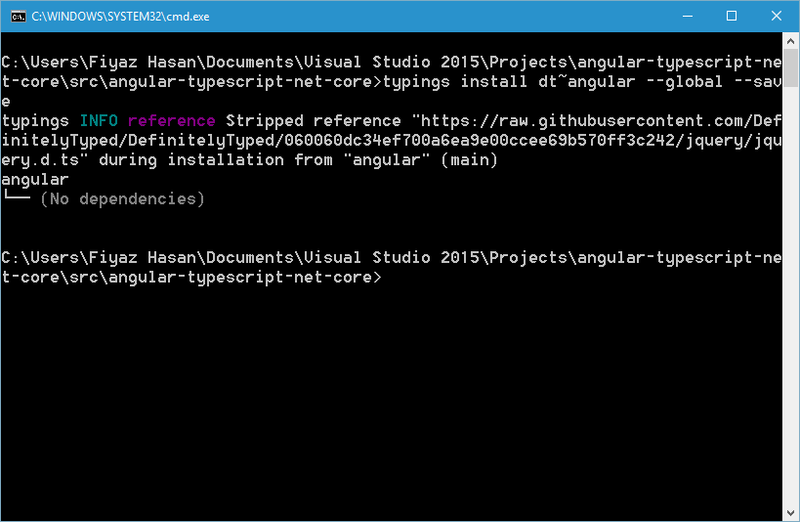 Although installing Angular is not mandatory but the article demonstrate writing Angular code using typescript. Add a typescript JSON Configuration File. 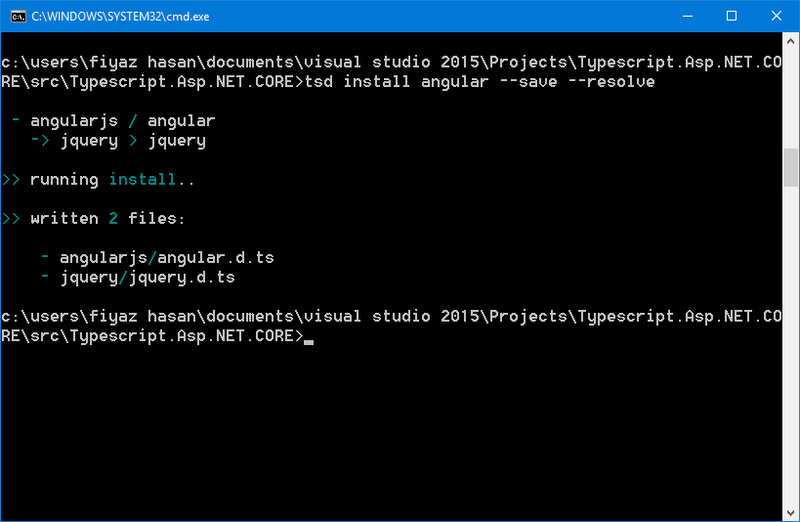 Note that Angular’s type definition file has a dependency on JQuery’s type definition file. So both are installed even though we’ve command just for Angular. 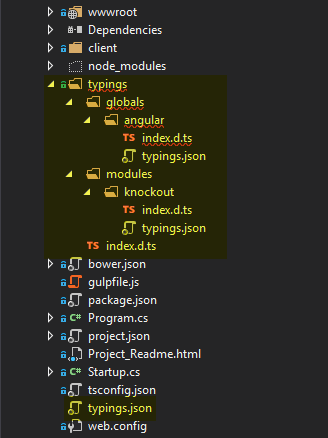 After installing, you project structure will have a new tsd.json file and a folder called typings where the actual type definition files can be found. 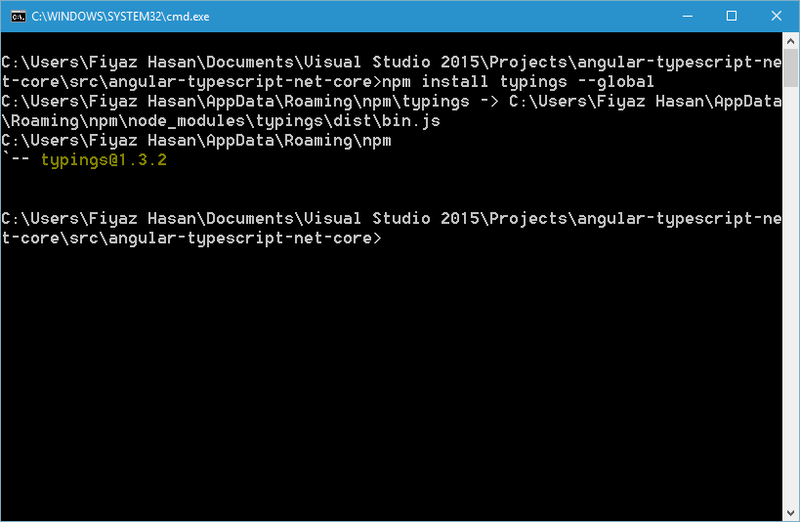 The below command will install the typings file for angular from the DefinitelyTyped website. 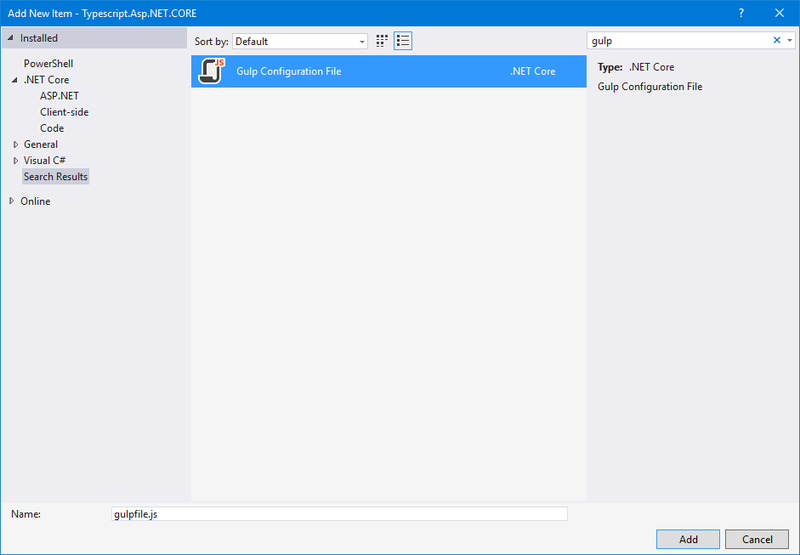 Add a gulp Configuration File in you project and remove the existing code from it. 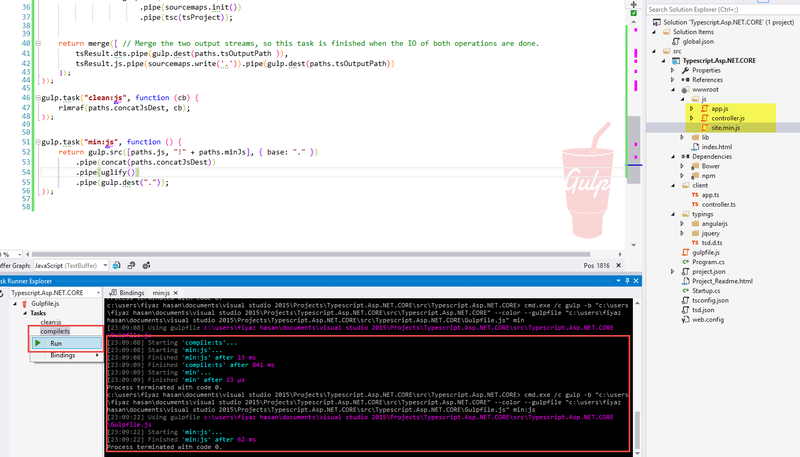 return merge([ // Merge the two output streams, so this task is finished when the IO of both operations are done. For demo purpose, create two .ts files under the client folder named app.ts and controller.ts. 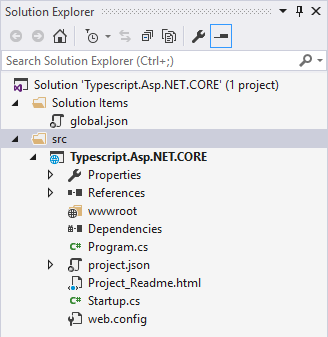 The code is not important here (you can download the full solution from the github link provided at the bottom of the post), the only important thing is whether we have typescript intellisense in those files.